Traders continued to shovel money into bonds, a signal that they see weakness in the economy ahead. The yield on the 10-year Treasury note fell to 2.86 percent from 2.92 percent on Tuesday, a large move. U.S. stock and bond trading were closed Wednesday because of a national day of mourning for President George H.W. Bush. Technology companies and banks took some of the heaviest losses in the latest wave of selling. Oracle slid 4.3 percent to $46.64. Citigroup fell 4.8 percent to $59.25. The S&P 500 index slid 49 points, or 1.9 percent, to 2,650 as of 10 a.m. Eastern Time. The Dow dropped 476 points, or 1.9 percent, to 24,550. The technology-heavy Nasdaq composite lost 121 points, or 1.7 percent, to 7,037. The Russell 2000 index of small-company stocks gave up 25 points, or 1.7 percent, to 1,455. 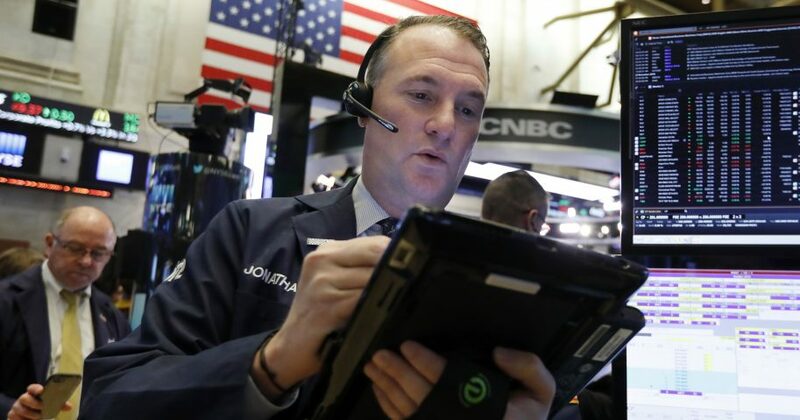 Major indexes overseas also fell sharply. The DAX in Germany dropped 3 percent, while France’s CAC 40 lost 2.9 percent. The FTSE 100 in Britain declined 2.8 percent. Canadian authorities arrested the chief financial officer of China’s Huawei Technologies on Wednesday for possible extradition to the U.S.
Meng is a prominent member of Chinese society as deputy chairman of the board and the daughter of company founder Ren Zhengfei. The arrest came days after President Donald Trump met with Chinese President Xi Jinping to discuss the two nation’s escalating trade dispute. China has demanded Meng’s immediate release. The news weighed on markets in Asia. Benchmark U.S. crude slid 2.9 percent to $51.38 a barrel in New York. Brent crude, used to price international oils, dropped $1.48 to $60.08 per barrel.